The Fast Seal is a relatively strong seal despite its small dimensions. This is partly due to the metal locking mechanism, which secures the seal. 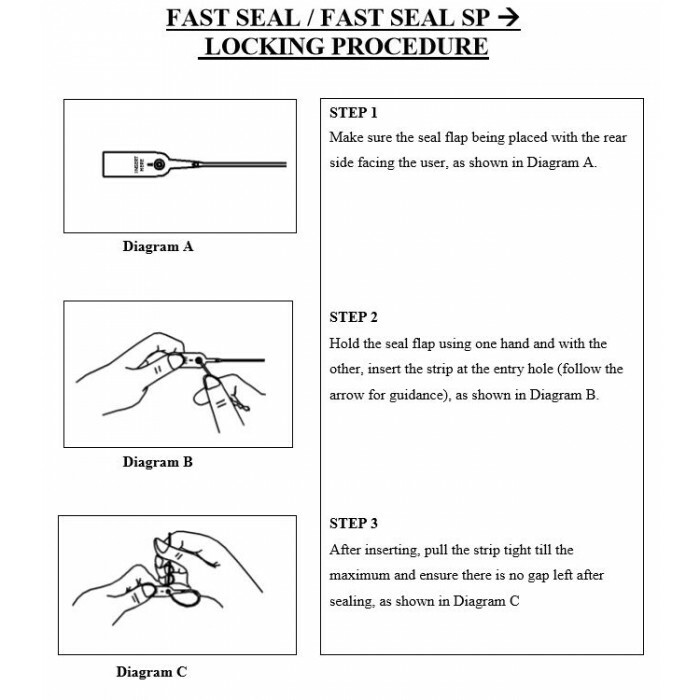 The Fast Seals are available in either Polypropylene (PP) or Nylon. The characteristics of Nylon material make it stronger and with better pull strength than PP material. 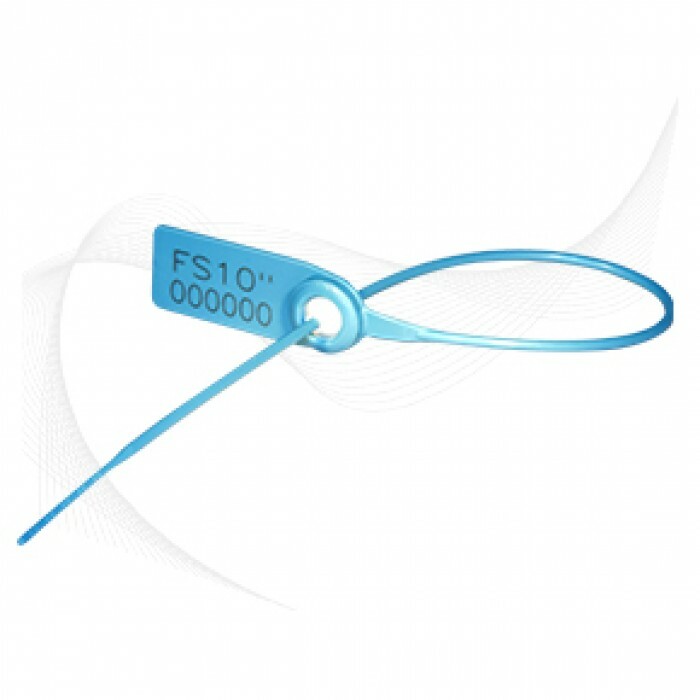 The Fast Seals are easy to use for all applications with small sealing facilities e.g. 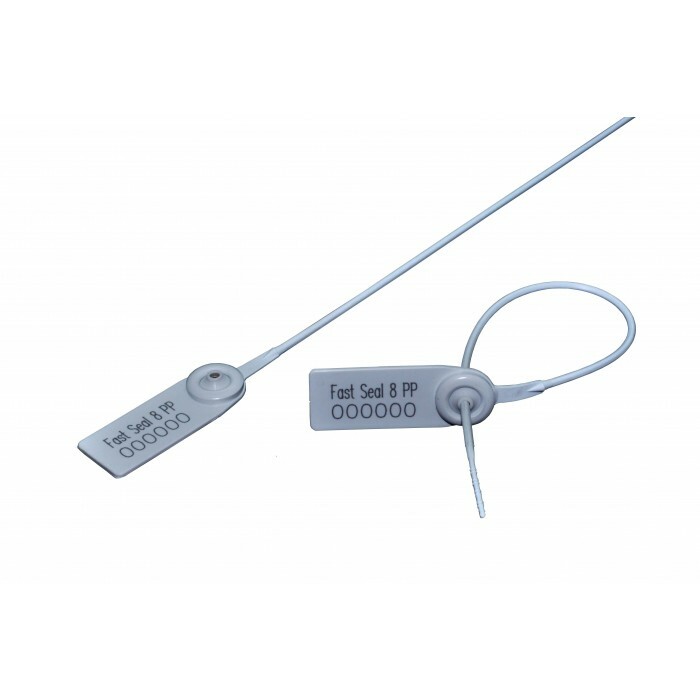 cassettes for ATM machines and money boxes on which the Fast Seals are widely utilised. 1. The Fast Seals are etched with permanent laser marking. Laser marking offers the highest level of security as it cannot be removed and replaced. 2. Heat staking technology is used to permanently fix the cap to the Fast Seal. Heat staking is too strong to be cut or forced open without leaving clear evidence of tampering. 5. Colour coding is made possible by using combinations of white-based seals and different coloured caps.